I first became familiar with Karen Vogel Sawyer through her amazing Zimmerman Restoration and Sommerfield trilogies. Both Amish. Both marvelous. But when I saw her latest release, Bringing Maggie Home. I was entranced by the cover and its summary. I knew this would be an amazing book, and I wasn’t wrong. Not Amish? Who cares?! 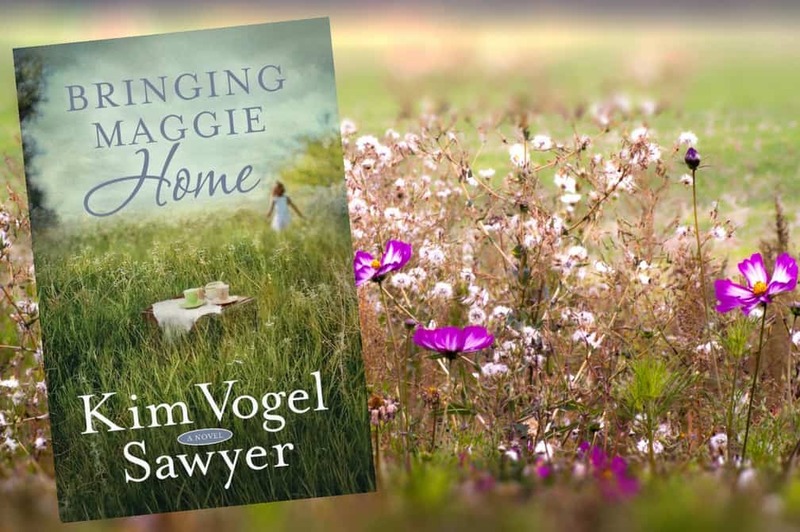 Bringing Home Maggie follows three generations of women – all strong, all longing for something they do not have. There’s 80-year-old Hazel, her daughter Diane, and her granddaughter Meghan. At the epicenter is the decades-old case of Hazel’s 3-year-old sister, Maggie, who went missing while on Hazel’s watch. Hazel has done her best to bury that time of her life, but when her daughter and granddaughter descend upon her house, everything comes to the surface. Can Meghan, a cold case agent, figure out what happened to little Maggie all those years ago? Read and find out! I was given Bringing Home Maggie in exchange for my honest review. I thought it was spectacular. The characters were well-thought-out and believable. So believable, in fact, that I wondered if she had somehow peaked into my own family dynamics! At times, the novel seemed slow, but then I realized: I really wanted to skip to the end and find out what happened! I’m so glad I patiently waited for the dramatic conclusion; it was worth it! This is a perfect novel to sink you teeth into, especially with Mother’s Day approaching…you’ll see what I mean.